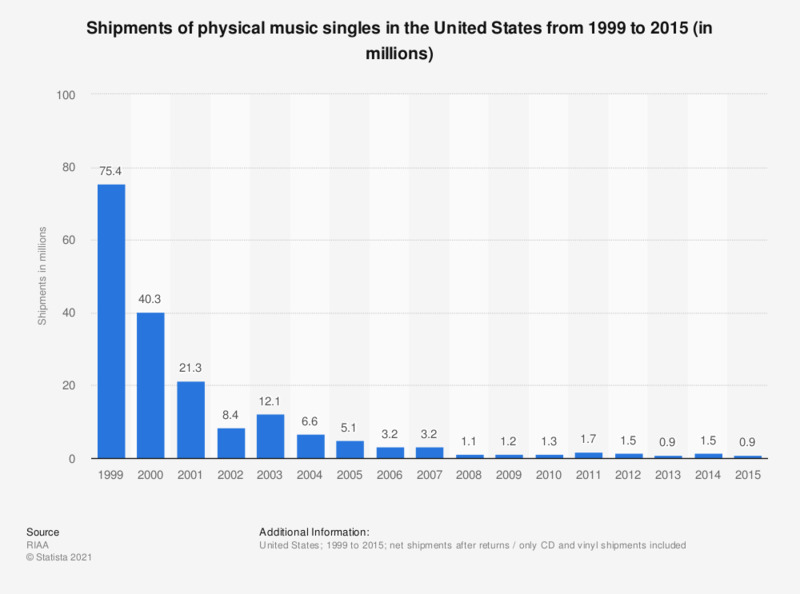 The statistic above shows the number of physical music single shipments in the U.S. between 1999 and 2015. In 2013, less than one million physical music singles were shipped in the U.S., down from 1.5 million a year earlier. Figures for the period 1999 to 2013 were taken from RIAA's earlier publications.